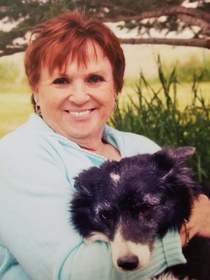 Obituary for Connie Mae (Rees) Rex | Crandall Funeral Home Inc.
Connie Mae Rees Rex, 73 years, passed away on Saturday, February 2, 2019 at her home in Woodruff, Utah. She was born August 19, 1945 in Coalville, Utah to Wayne Ray and June Eastman Rees. She worked on her ranch where she had horses, cattle, dogs and cats. She loved horse racing, barrel racing and the speed of her corvette. She is preceded in death by her mother, June Eastman Rees and her father, Wayne “Oley” Rees. Connie is survived by her husband of 54 years, Charles M. Rex; her children, Carolee (Wade) Ryan and Denee (Heidi) Rex; two sisters, Jeanne Danks and Judy Archuleta and 6 grandchildren, Jacie Buck Denica Rex, Specialist Ryker Rees Rex, Ander Charles Deeds Rex, Justin Buckwheat Rex, Apryl Lily Rex and Rope G. Ryan. Services will be 11:00 AM Friday, February 8, 2019 in the Woodruff LDS Church. Family and friends will gather 6:00-8:00 PM Thursday night and 9:30-10:45 Friday before the service. Interment will be in Woodruff Cemetery.